If you consistently find yourself at places with spotty Internet connectivity - when commuting to work or at home, for instance - and you love watching videos, then YouTube's offline feature is aimed at you. The feature allows YouTube users to continue to enjoy their favourite videos on their Android and iOS devices even when there is no usable network connection. 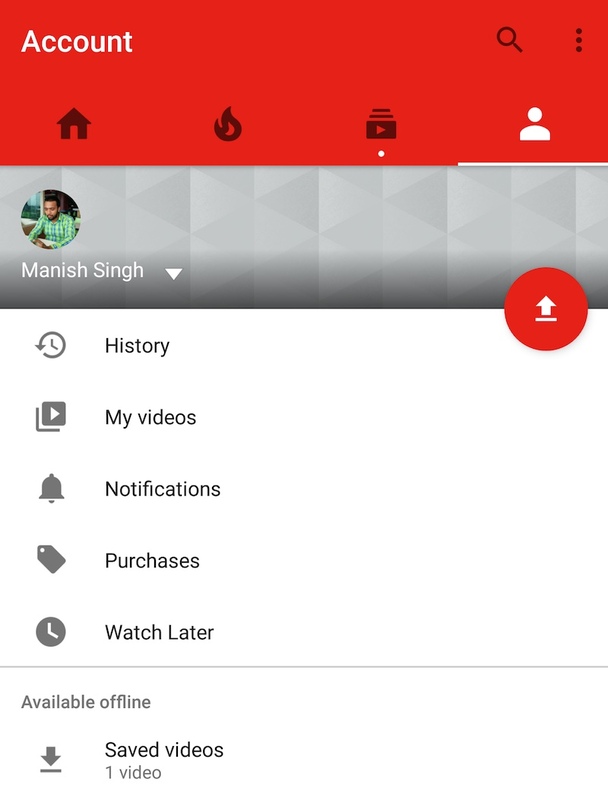 Here's what the YouTube's offline feature is all about, and how you can make use of it. 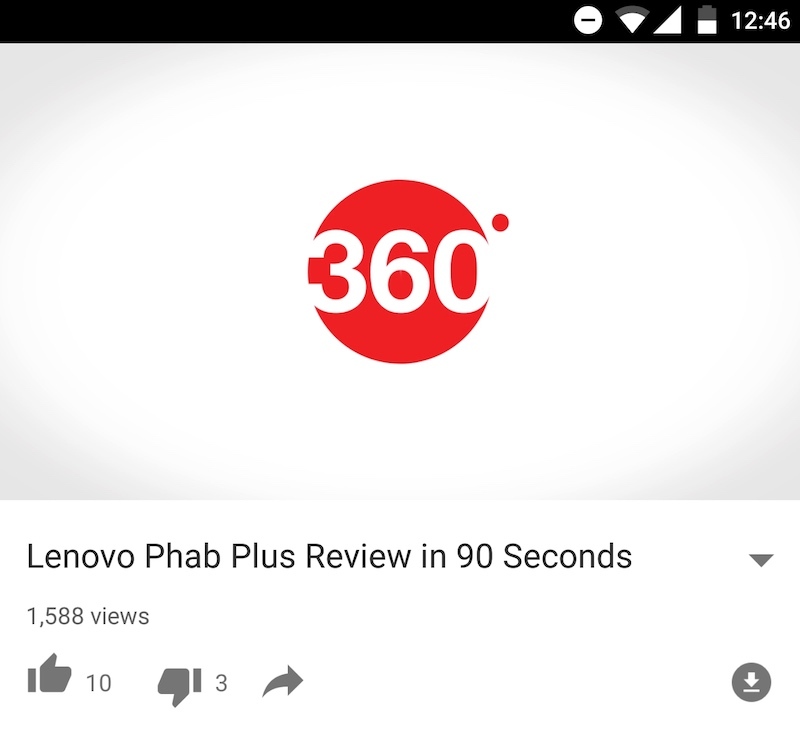 Launched in 2014, YouTube's offline feature allows Android and iOS users to save YouTube videos to their device for later consumption. These videos can be downloaded via mobile data or Wi-Fi network. The feature is ad-supported, however, so you will have to sit through an advertisement before getting to your video. It is worth noting that not every video is available for offline viewing. Much of India's popular YouTube content can be downloaded, but you might come across some videos that are not available to download. Visit the video file you want to download. Look for the Add to Offline icon below the video (alternatively you can click the context menu button and select Add to Offline option). Do note that if the video isn't available for offline viewing, it will have a crossed Add to Offline button. You cannot download such a video to your device. Upon clicking the Add to Offline button, YouTube app will ask you to select the resolution - Low, Medium, HD - of the file. Low quality will download quickly, take lesser space on your device, but will be of relatively worse quality. 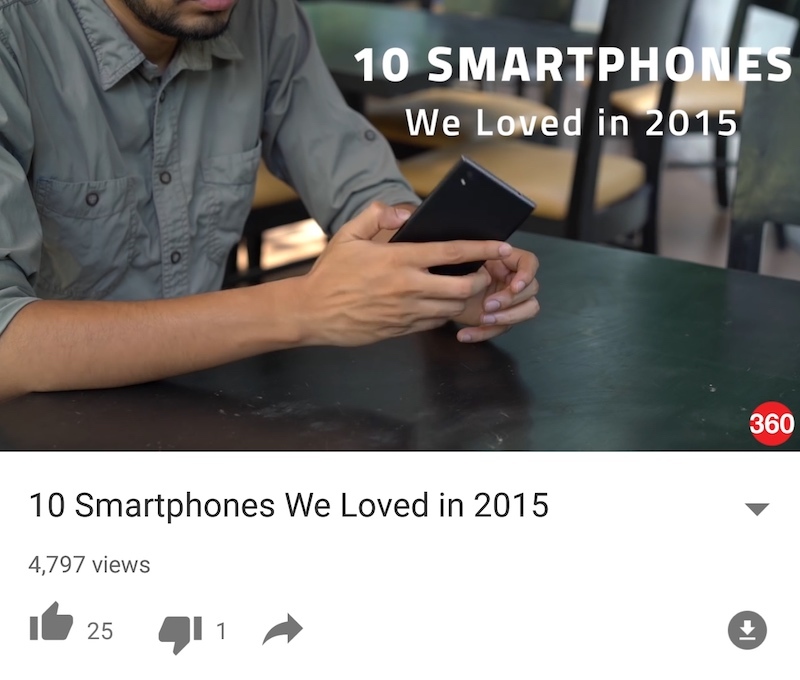 Once you select the quality, the video will begin to save on your device. Once you're on the home page, click the Account tab (the one the right-most corner that looks like a human body). You will find Saved videos on this page. 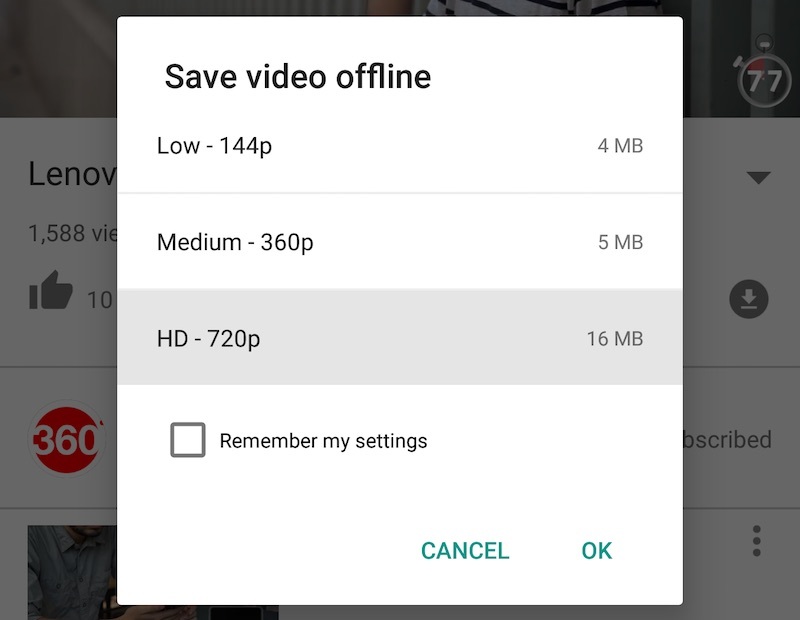 Clicking this will show you all the videos you have saved for offline viewing. 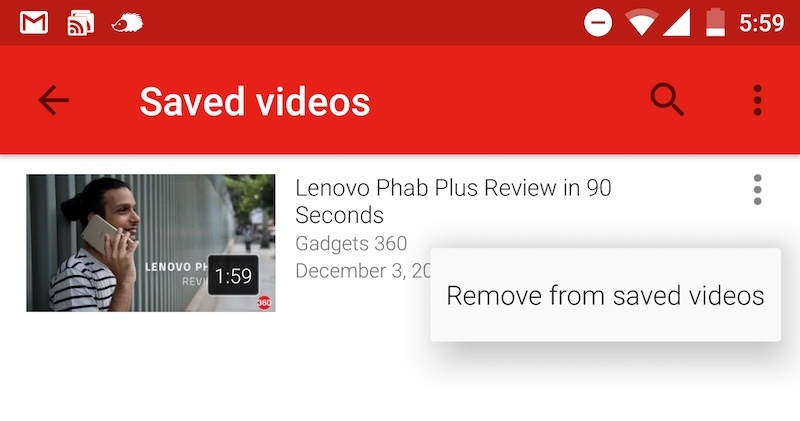 If you want to delete a video, click on the context menu next to the video, and select Remove from saved videos.